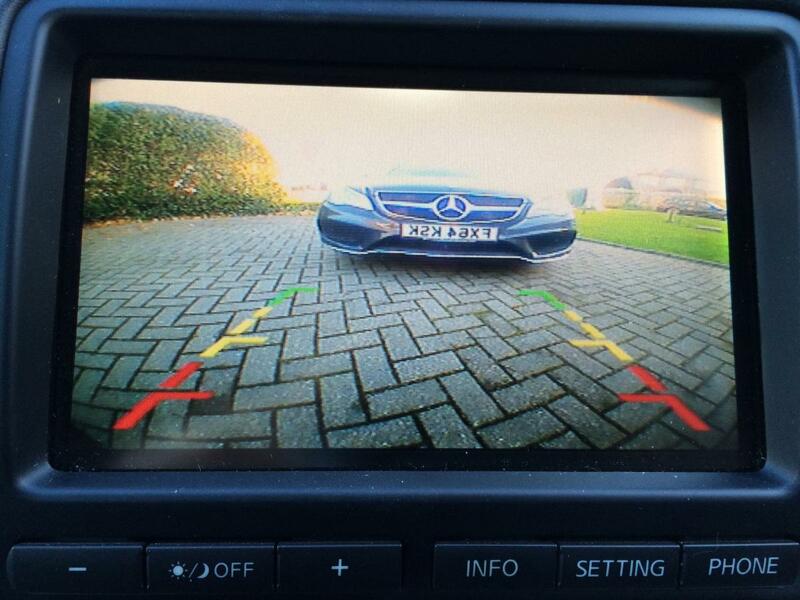 The first few years of GTR production did not have the option of a Reversing camera unfortunately. So when our 370Z reversing camera guru Paul_S asked me if I would like to have one fitted I jumped at the chance as this car is very difficult to reverse. I didn't realise the kit was so oem with no cutting of wires or drilling etc. Paul provides a loom assembly that plugs into the oem harness in the centre console. 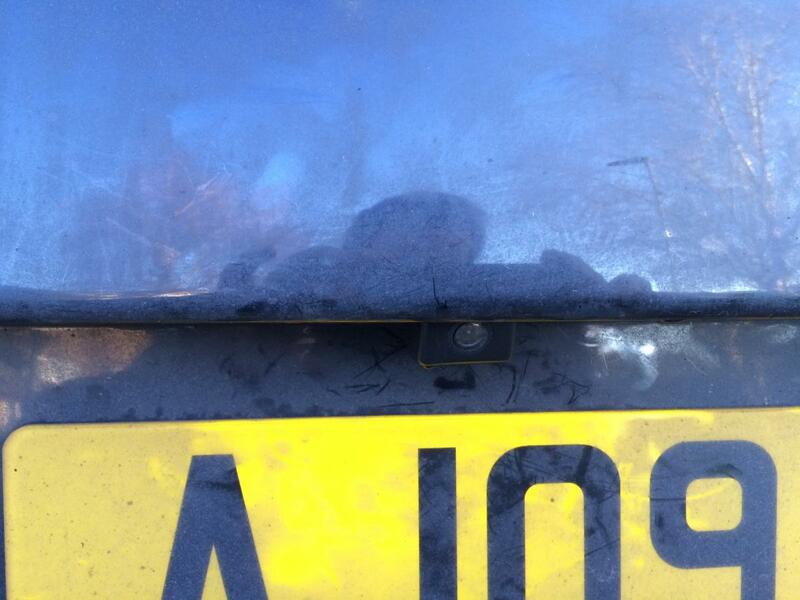 The camera retrofitting the number plate light is a great idea and is hardly noticeable. The camera quality is excellent even in low light and works automatically when reverse is selected. I watched Paul fit it and it is surprisingly straight forward with just a screw driver, a spanner and some trim tools required. I'm not really into modding but this is well worth having. Very Happy! You are officially the first owner of my non-Nav GT-R reversing camera kit! I have given the kit a bit of thought and have come up with a plan to make it easier to thread the cable through the dash (which was quite tricky). It was really useful to have your car for the day and discuss different options with you. 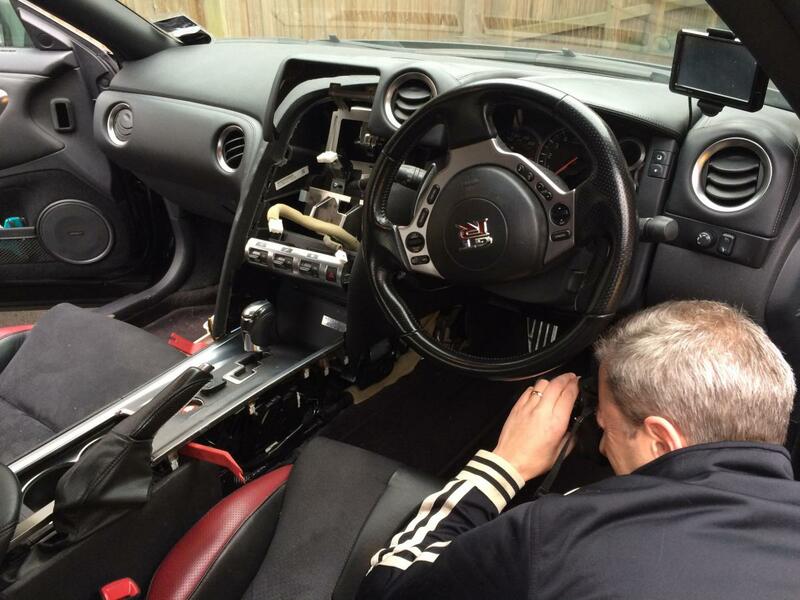 Also, it was our first time working in an R35 dash & boot and you can read all the guides you like but nothing beats doing it for real. Just sorry it took so long to get it all done! I was thinking how long the installation would have taken if the kit was 100% ready and we were following a guide. What do you reckon? A couple of hours? I reckon you could install this in around 2 hours with your expertise. Someone who has never done it before may need another hour or so. Car was well frosted up this morning so assumed the camera would not be working but it was perfect! I think he's almost giving it away and needs to bump the price up a bit! Paul, what's the cost for rear view camera kit for SatNav 2010 GTRs? Oh, soooo slow, it was an impulse buy! You're too quick! I'm not selling these until January!!! As with my 370Z looms, it's all plug and play - no drilling, cutting or splicing of wires, etc. and can be uninstalled returning the car back to factory spec. I've nearly completed the first draft for the installation instructions and will put up a proper for sale thread after Xmas. Remind me what is typically fitted as an input to the Aux switch? Whatever video input you like mate - front cam, DVD, iPod, etc. 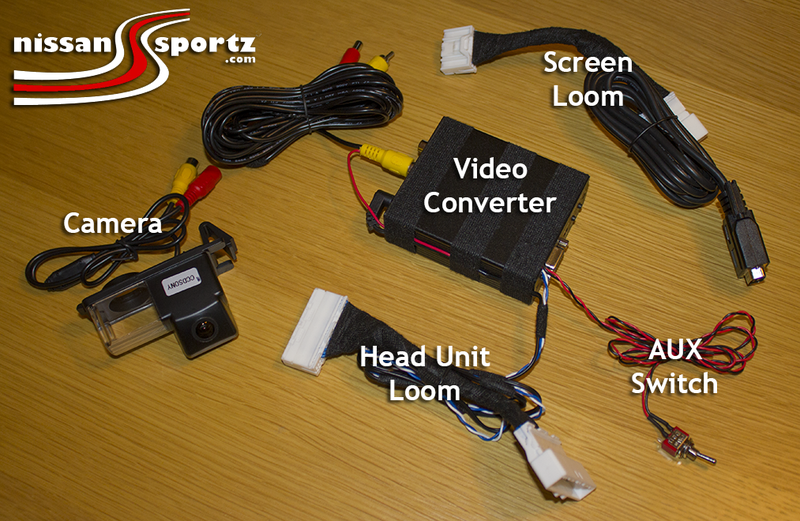 If you want audio then you need to plug that into the AUX audio input on your head unit. Did you notice a tweak to the loom where I've separated the Screen Loom from the rest of the kit to make it easier to thread through the dash? Is this kit still availabe?